ben / July 23, 2017 / Comments are off for this post. 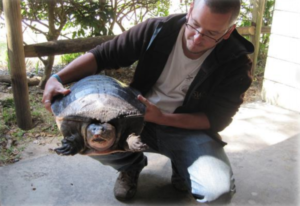 Turtles of the Wekiva Wild and Scenic River Live Turtle Presentation – Tuesday, 1:00 p.m.
Come hear fascinating facts and insights on the behaviors of turtles we commonly see along the Wekiva River in this 1-hour program. You will learn about aquatic turtles and what you can do to help protect turtles here and all over the world. It’s a great opportunity for a selfie with a freshwater turtle too! Presented by, Virginia Oros, Wekiva Wild and Scenic River Ambassador, Jordan Gray, and his team from the North American Freshwater Turtle Research Group and the Turtle Survival Alliance. 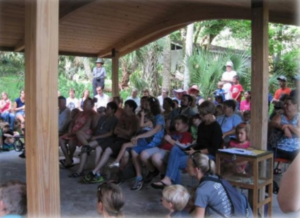 Nature Center – Tuesday at 2:00 p.m.
Stay and enjoy the Wekiva Wilderness Trust Nature Pavilion where you will see a live alligator, snakes, turtles, and learn some interesting facts about these and other species. See fossils and artifacts that illustrate the area’s rich history and the abundance of wildlife found within the Wekiva Basin. Learn about the Wekiva’s diversity of flora and fauna, some of which is endangered or threatened.